A construction worker walked through Assembly Square earlier this month. A standoff over affordable housing in Somerville ended Thursday night when officials gave the developer of the Assembly Row complex a waiver from a city rule requiring that 20 percent of the homes at a new 500-unit building be set aside for lower-income renters. The developer, Maryland-based Federal Realty Investment Trust, will instead be required to make 16 percent of the project, or 80 units, affordable. 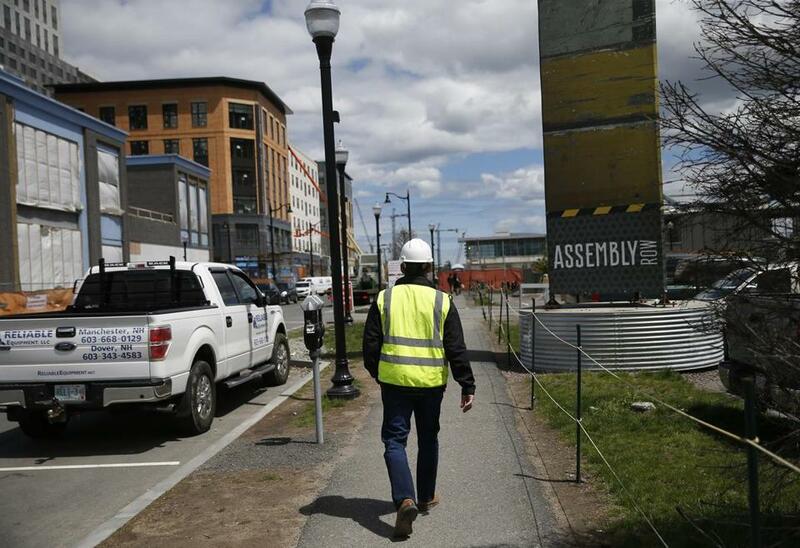 Of that amount 31 would be at the new building, while Federal Realty would pay the city $10.3 million to finance the remaining 49 elsewhere in Somerville. Federal Realty had originally argued that it was required to make only 12.5 percent of the project, or 63 units, affordable, because that was the city requirement at the time the developers received permits a decade ago. Somerville increased its affordable-housing requirements for new developments in 2016. Affordable-housing activists who packed City Hall on Thursday were disappointed with the Planning Board’s 4-to-1 vote in favor of the compromise. Some said they felt the deal was a worse outcome than Federal Realty’s original position, because all those 63 affordable units would have been at the Assembly Row building. “Moving stuff off-site is kind of shameful,” said Jeff Warren, a local activist who said the off-site system creates “segregated” housing markets. Alderman Matthew McLaughlin, who had rallied against the waiver request, said the deal meant the city was “going backwards” on affordable housing, and criticized the Planning Board for voting so quickly on the proposal after receiving it for review only on Tuesday. But Somerville’s planning director, George Proakis, said the $10.3 million injection into the city’s affordable housing program could give it greater borrowing power to fund more affordable homes. Proakis also said time was of the essence: Somerville is counting on permit fees from the project for the next fiscal year’s budget, which the city is finalizing, he said. The compromise, he added, was probably the final offer from Federal Realty, which had said it may not go forward with the apartment building if it was held to the 20 percent standard. The administration of Joseph Curtatone, Somerville’s mayor, had declined to take a position on the initial waiver request, but recommended the board approve the compromise when it was unveiled Tuesday night. Adam Vaccaro can be reached at adam-.vaccaro@globe.com. Follow him on Twitter at @adamtvaccaro.